Prince Charles once famously admitted he enjoyed talking to his plants - and today, he also had the chance to chat with a banana and a carrot. 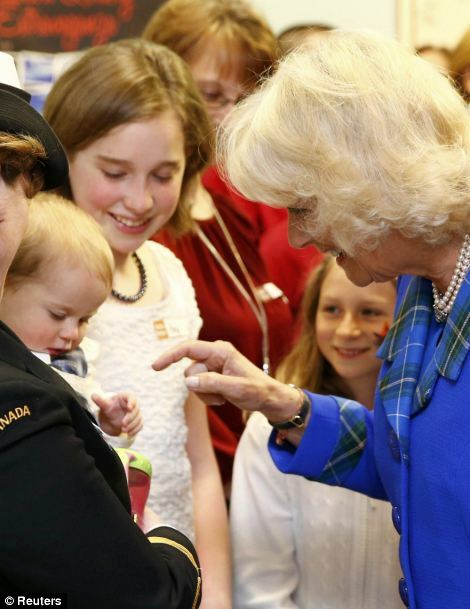 As part of their whirlwind tour of Canada, the prince and the Duchess of Cornwall visited a Military Families Resources Centre in Halifax, Nova Scotia, where they encountered one of the most unusual line-ups of their royal careers - a group of fruit and veg. The royal couple were introduced to volunteers dressed up as a banana, a carrot and a bunch of grapes in order to promote healthy eating among children. Camilla burst into laughter as she was introduced to banana Matthew Hunt, saying 'what have they made you do?'. The pair also met a puppet called Jason who is used to help children talk through any issues they may suffer from, as a result of having parents in the military. Camilla's hair looks over bleached the above picture. To keep that colour takes a lot out of the hair especially in older women. I know I am catty about the finer details but she spends so much money that if it was me I would expect a lot better. Love the protection officer in the background of picture 9! Hope to see more of him in the royal tour pictures! I had to laugh at one of the comments to the article in the DM. They are right though. Better not assign him to Kate. I agree Cate, the RF needs to find a new family dentist. And add some flouride to their fancy Royal water. Our teeth and oral health is linked to our overall health. Who wants to look at decaying, yellow-brown teeth? There are studies that demonstrate that good teeth are important to achieving professional and personal success. It amazes me that the Brits haven't caught up on this. Members of my family had braces in the 1950's it's not like they're something new. I think Will still has an overbite (slighter than it was before though). A lot of times a nighttime retainer is assigned to a patient after the braces come off. If Wm wasn't compliant then the changes will reverse or the results won't be realized. I just think it's sad. So much can be done today. The pediatric dentist began pulling my daughter's teeth at 6 and putting in spacers to prevent the need for major orthodontic work later on. Perhaps this is why Wm disappears for long stretches, he hides for months on end bc he's wearing braces. I know doctors who grew up poor who did Invisalign in their 40's and it really wasn't noticeable. Perhaps this is something Wm should consider. His receding hairlines seems to highlight his overbite. With all the money they have no excuse for such bad teeth. I think will has too big teeth for his jaw - he probably needed two teeth remove in the back - and then braces to pull the overbite in. You know this is not just about appearance - a proper bite prevents jaw pain - I suspect his jaw clenching all the time is because he has that overbite. Someone ought tell them that yellowing and grungy looking teeth are disgusting - people feel turned off by speaking to someone with poor teeth. They are hardly a good example. Camilla's ahir - looking at that pic - when you go grey (white) the hair yellows - it looks as if she is not coloring it - or not coloring it often enough - she has layers of white mixed in with the yellow hair - which could be yellow not because of dye but because of grey/white hair yellowing. Lord they are slobs. It's hard to know exactly what colour Camilla's' hair is supposed to be. I thought for years it was a snowy white, but a friend saw her quite close up in London and described it (a year ago) as 'a champagne colour'. The big Windsor chompers are really a Mountbatten thing. 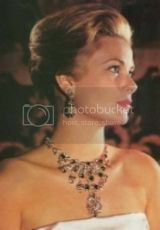 Philip's aunt, who became Queen of Sweden, had a thin face and huge horse-like teeth. To be fair, the Windsors aren't the only ones. Queen Margrethe of Denmark is a heavy smoker with huge yellow teeth. (I like her, though!) William and Beatrice have the too-many-teeth for the mouth characteristic, to such an extent that poor Beatrice can't really close her mouth properly. Thank goodness Harry escaped. Agree, the best thing for a small mouth is to pull the back teeth in order to achieve a proper alignment. I imagine he grinds his teeth when he sleeps since his bite is off. The RF just amazes me sometimes. I always chuckle when Kate is criticized for her hair. She's in good company, just look at Camilla and Anne. 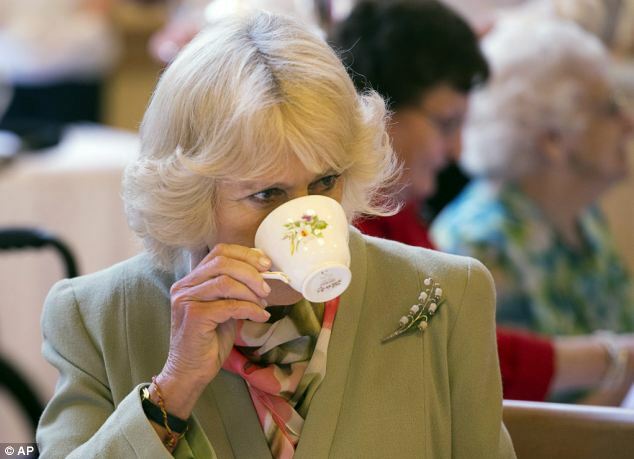 You can see the darker roots in Camilla's hair so the "champagne" colour is lighter than her natural colour. That degree of lightening will damage her hair as hair becomes more brittle with age. It just goes to show that the amount spent does not always correlate to the finished look. Prince Charles has sensationally likened Vladimir Putin to Adolf Hitler. The prince’s extraordinary intervention is certain to cause international controversy. It is likely to be seen as a criticism of the West for failing to confront Mr Putin over his seizure of Crimea. The annexation was the first by a major power in Europe since 1945. Observers have compared the crisis in Ukraine with Hitler’s takeovers of Czechoslovakia and Poland. Clarence House have tonight issued a statement over Prince Charles' much reported comment on Putin and Ukraine from today's Daily Mail. He may well embarrass the Foreign Office or the British Ambassador to Moscow with these ill-timed remarks. When he gets to be sovereign he is going to have to remain silent about international hot-spots. Best he begins now. Charles always shoots himself in the foot. He needs to keep his mouth shut. ^^^^Oh, nooooo. There are people working around the clock on diplomatic discussions, sanctions and all other things highly explosive on the world stage and this is not helpful at all, PC. Think however you like but keep it to yourself and let those who are ELECTED do the real work. He has no business stirring the pot this way. What a mistake this was. Luckily, I don't believe that anything he says is taken all that seriously but it's a good reminder for him to keep his political views to himself. That's not the royal's job in any way, shape or form. Vladimir Putin is to snub Prince Charles at next month's ceremony to mark the 70th anniversary of D-Day after the royal likened the Russian president to Adolf Hitler. The future king had been expected to meet Mr Putin in France on June 6, but following his unguarded comment during a visit to the Canadian Museum of Immigration in Halifax, Nova Scotia, the pair will no longer be meeting. The move came as a major Kremlin-loyal news source accused Prince Charles of risking an 'international scandal'. On Prince Charles @David_Cameron tells Radio 4's World at One "I'm not going to comment on the private conversation of anyone". It's truly sad when Charles wears his medals and sits next to war veterans who truly earned them--on the front lines. You mean Charles's Coronation Medal, Silver Jubilee Medal, Golden Jubilee Medal,.....!